Click image for more photos and discussion. While building a house, Dave Gillilan uncovered quite a large assemblage of artifacts of various materials, which he reported to the author after seeing similar artifacts on this website. These were in a small area about 1.5 m (5') down in apparently undisturbed rural terrain. 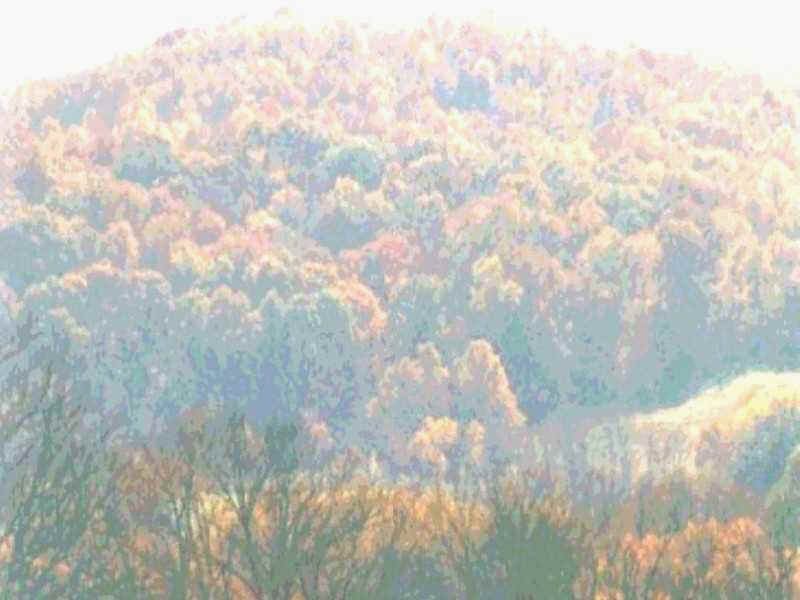 Among the artifacts was a cache of flint and quartz points, blades, and scrapers professionally identi- fied as likely of the Late Archaic to Early Woodland time frame, or roughly 2000 years BP. Bird and bird-human motifs like those at the Day's Knob site (as in the photo above from Dave's finds) are very much in evidence, as well as some quite remarkable indications that glass making and metal smelting may have taken place at the time the lithic artifacts were manufactured. Alan Skelly of Mt. 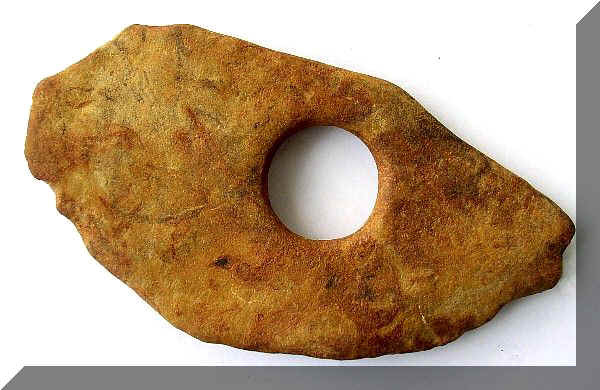 Oreb, Ohio, has observed and collected some excellent Figure Stone artifacts in the immediate vicinity of Ohio's Great Serpent Mound. Click Image to view portablerockart.com. Ken Johnston became aware of portable rock art while viewing this website in 2006. Shortly thereafter he started his own, portablerockart.com, modeled closely on this one but in the stated theme of "Subjectivity in Stone Age art works such as figure stones..." on the apparent assumption that all North American portable rock art must be of Palaeolithic age. He presents photos of many suspected iconographic artifacts from various locations, with some creative and colorful interpretations. One of several apparently quite real finds of his own is the simple limestone bird shown in the photo above, complete with the commonly appearing flat base on which the figure stands firmly upright. 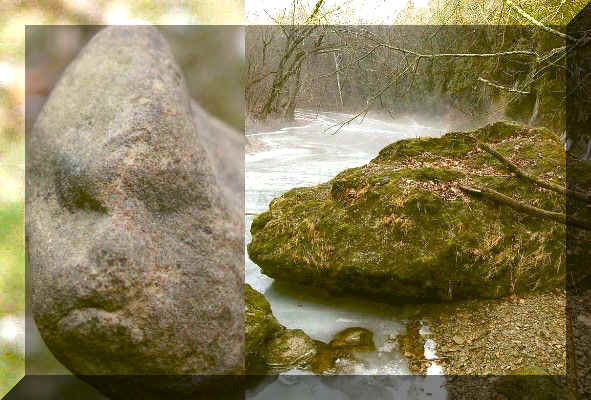 A very strange one: Jonathon Gephart submitted photos and information detailing his uncle's discovery of a siltstone pebble professionally iden- tified as artificially modified, embedded in a shale wall at about 18 m (60') below the terrain surface. Stratigraphic context suggests an age of 130,000 years or more.